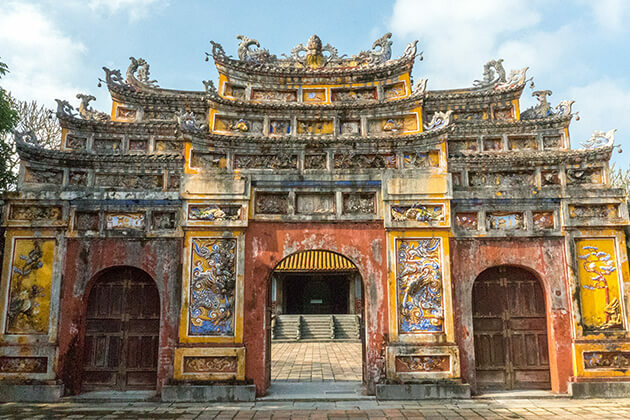 This Southern Vietnam Extension 8 Days is one of our ‘Set-departure tours’ with the same date with The Best of Vietnam itinerary. 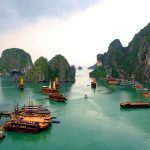 The tour covers some major sites in the south of Vietnam such as the hustle & bustle Saigon, the fascinating Mekong Delta, and Mui Ne Beach. You can choose from our fixed date to arrange your International flights. On arrival at Tan Son Nhat International Airport in Ho Chi Minh City, we will be welcomed and transfer to our hotel. The rest of the day will be free to recover. Overnight in Ho Chi Minh City. This morning, we will visit Cu Chi Tunnels. 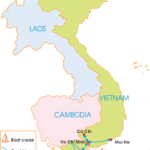 At its height, the tunnel system stretched over 250 KM from Saigon to the Cambodian border and was three levels deep. The network included innumerable trap doors, specially constructed living areas, storage facilities, weapons factories, field hospitals, command centers and kitchens. 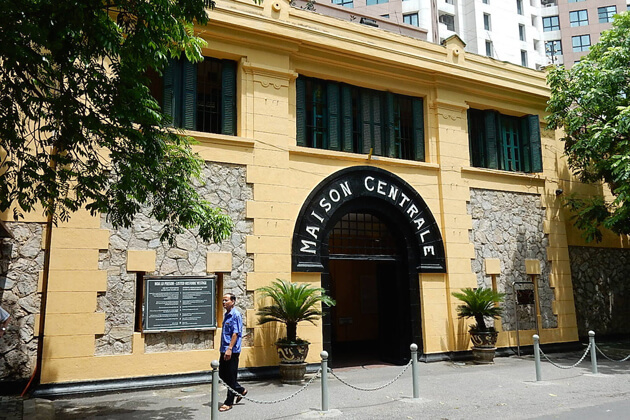 Today the remaining tunnels have become a major tourist attraction giving the visitor a unique experience and a feel of what underground life during the U.S.-Vietnam American must have been like. We then return to Ho Chi Minh City and have free time at leisure. In the evening, our Vespa guide will pick us up at the hotel and we start the street food adventure in the back of a Vespa. Our first stop is Café zoom to “watch the world goes by” (quoted by The Lonely Planet) and enjoy cocktail and appetizer before adventuring into favorite local eating spot. Our vintage Vespa scooter take us to the Chinatown and then heading to District 4 through busy streets and alleys to see the night life of locals and enjoy street sea- food and cold drinks, places that foreigner won’t be found. Leaving District 4 to District 3 the tour pass through downtown District 1 to take in the sights on the way to Banh Xeo (Saigon Special Pancake), specialty of Saigon, and southern food with the locals. Then the tour will continue to a hidden Vietnamese-style coffee shop to have a taste of Vietnamese music (live) as a local. After that, the tour will bring guest to a lively bar to enjoy the drinks with live music. The tour ends at 10 PM and we will have a good night after a hectic day. 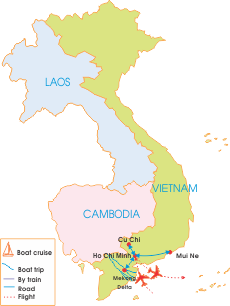 After breakfast at hotel, we will escape from the lively Ho Chi Minh City and head to Cai Be in the Mekong Delta. On arrival, we visit the Cao Dai Cai Be Temple and Cai Be Cathedral right at the town to understand more about the religious life of Mekong people. 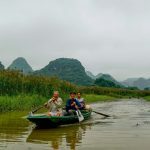 We then embark on a tourist boat to visit the inland and floating markets of Cai Be, where we will be introduced the local agricultural, marine products and buy the ingredients for our own dinner. Continuing on boat to head to Mekong Lodge in Tan Phong Island, where we will check-in our room for relaxing and having lunch. In the afternoon, we will take part in local activity of ditch fishing hook, which will bring us a rustic and great experience especially when catching fish on river for dinner. Back to the Mekong Lodge and join our chefs in the kitchen with Mekong Delta’s special dishes such as elephant ear fish, spring rolls…Overnight in the Mekong Lodge. After breakfast, our guide will guide us to explore more the Tan Phong Island by bike. 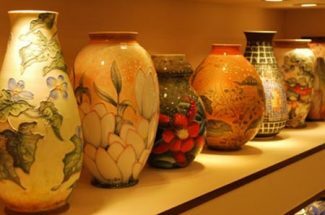 We will visit the traditional handicraft workshops of handbags, rice papers along with wooden tables and chairs. Stopping at a local farmer’s house and talking to him to understand how local farmers take care for their gardens, then try plucking the fruits and tasting them. 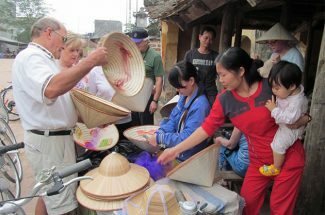 The 2nd day tour continues with a visit to the ‘bang’ conical hat (nón bàng) workshop before going back to our lodge to fresh, check out and get back to our boat to transfer us back to the mainland where our car is waiting and take us to hotel in Ho Chi Minh City. In the evening, we will have Farewell dinner in a nice local restaurant. Overnight in Ho Chi Minh City. After breakfast at hotel, we will take 4-hour drive to Mui Ne beach, one of the best beaches in Vietnam with huge rolling dunes, good ranges of hotels and resorts on the beach, plenty of restaurants along the beach roads served Vietnamese and International foods. On arrival in Mui Ne beach, we will check in our hotel and have the rest of the day free at leisure. Overnight in Mui Ne. After breakfast, we start our Mui Ne Sand Dune half-day tour. We first visit the Fairy Stream, a nice natural stream in Mui Ne which we should not miss. After that, we visit White Sand dune. From the top of the huge dune, we can see all of the scenery of Mui Ne. We will also discover the daily activities of the fishing farm. Not only visiting white sand dune, we will be fulfilled by the beautiful white sand dune. It is more romantic time for seeing the sunset, slip on the sand. Moreover, in the middle of the white sand dunes, there is Lotus Lake – lotus is one of the famous flowers in Viet Nam. After that, we will get on our Quad bike (ATV) for a 30-minute ride around the vast dunes from the foot to the top of the dunes. It’s a great fun and exciting way to explore the dunes in a significantly easy-to-use ATV. In the mid afternoon, we will drive back to our hotel and have free time at beach. Time will be free until our car arrives at the hotel to take us back to Ho Chi Minh City in good time to connect our departure flight. Trip ends. Please be aware that hotels and all other logistics, services and days of travel are subject to availability. Where flights are cancelled or delayed Viet Vision Travel will endeavour to secure alternative arrangements of similar value as noted in our booking conditions. The travelling times mentioned within this dossier are approximations only. These times will vary according to weather, road, traffic or any other prevailing conditions. This itinerary and supplementary information has been complied in good faith and was accurate at time of writing. 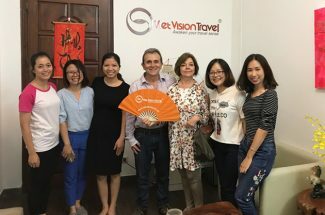 However, it DOES NOT form part of a contract between the client and Viet Vision Travel.